Compatible with Gopro Hero 1 / Hero 2 / Hero 3 / Hero 3 / and gopro accessories / SJ4000. 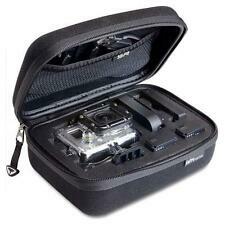 Can fit for gopro 3 and gopro 3 accessories. Perfect for GoPro storage when not in use. 1 x GoPro Travel Storage Bag. Foam padding on ALL sides. 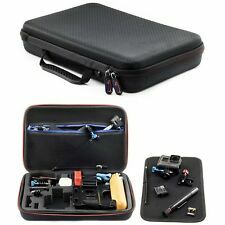 1 x GoPro Session carry case. Fits: GoPro Hero3 3 4 5 6 7. Large EVA Case x1. Colour : Black. Moulded case with cut to size foam insert for perfect fit and safety. Its rigid EVA body provides an extra layer of protection. - Material: Smooth Rigid EVA case. - It is made by Panasonic! - "As the title suggests I was very impressed with the case (even though I have a Sony camcorder!). Can fit for gopro 3/ 2/ 1, gopro 3 and gopro accessories. Durable and soft inner material insert for absorbing shock and vibration. Lightweight, padded, and compact. P.S : Only the case box not included another thing. Durable and soft inner material insert for absorbing shock and vibration. Lightweight & portable, padded, and compact. Color: Black. Brand Unbranded MPN Does Not Apply EAN Does Not Apply Type Hard Cases Features Padded Material Plastic Colour Black EAN Does Not Apply EAN Does Not Apply. 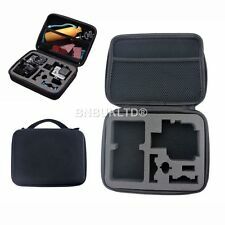 1 x Small case for GoPro Hero 2/3/3 /4. We will try our best to reduce the risk of the custom duties. Color: Black. 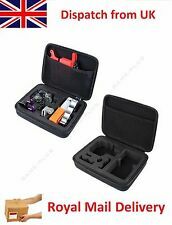 Can fit for gopro 3/ 2/ 1, gopro 3 and gopro accessories. 1x Gopro Bag. Durable and soft inner material insert for absorbing shock and vibration. Lightweight, padded, and compact. P.S : Only the case box not included another thing. Fits: GoPro Hero. Colour : Black. 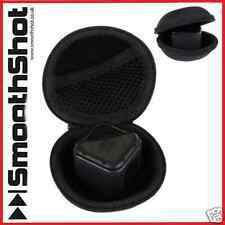 Moulded case with cut to size foam insert for perfect fit and safety. Thoughtful design can also hold various accessories like battery, cable, buoy, SD card, etc. Hard Shell with soft liner, the liner is can be detached from the bag. Colour: Black. The real color of the item may be slightly different from the pictures shown on website caused by many factors such as brightness of your monitor and light brightness. EASIER CARRY: Convenient hand strap and caribiner loop for easy carrying. The loop can be easily attached to a belt or large bag. GoPro Pole 【SmaPole】. Other GoPro Accessories. GoPro Case 【SmaCase】. In addition, make it easy for you to access to get the accessories. The size of the case is proper. Charging Case. Baseball Hat【SmaHat】. Compatible with Gopro Hero 1 / Hero 2 / Hero 3 / Hero 3 / and gopro accessories / SJ4000. Durable and soft inner material insert for absorbing shock and vibration. 1 x GoPro Travel Storage Bag. Lightweight, padded, and compact. Different colors add an amazing style to your GoPro(Refer to the pictures). Convenient hand strap and caribiner loop for easy carrying. The loop can be easily attached to a belt or large bag. PRODUCT DETAILS Genuine DigiCharge Product Keeps your Sat Nav protected all around from scratches, marks and dust Provides your GPS with protection if dropped Includes Carry Strap Ample Storage for all your accessories. ◈ GoPro Accessories. ◈ GoPro Accessories-Promotion. ♢ Floor Drain,Grate. 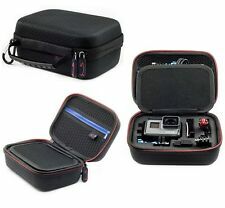 ZOIC BLACK&BLUE EVA WATERPROOF CARRY CASE BOX BAG FOR GOPRO HD HERO 5 4 3 3 2 M SIZE. Fit for:gopro hero 5 4 3 hero3 hero2 hero1 (there is two small foam to fix the hero 3 ). Lens Hood Accessories. Bag Accessories. General interest. View new listed. Gallery view. BRITE-R Hide all sub-categories. Binocular Accessories. Spotting Scopes. Can fit for gopro 6 5 4and gopro accessories. Due to the different monitor and light effect, the actual color of the item might be slightly different from the color showed on the pictures. Lightweight, padded, and compact. 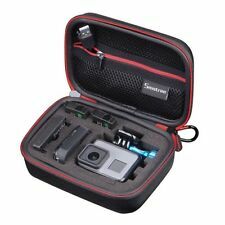 Mini Bag Protective Travel Storage Carry Case Pouch For GoPro HD Hero 4 3 3 PAT. 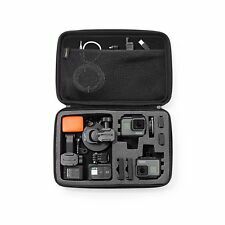 Waterproof Hard mini Case Cover Shell Bag for Go Pro HERO 5 4 3 3 xiaomi yi 4 K SJCAM SJ4000 Accessories Etc. ● Perfect as a protective travel case for when out and about. Features Waterproof IP67, Dust-Proof, Crushproof, Padlockable, Chemical, Corrosion and UV Resistant Flexible thin wall design, Super light weight Made with Polypropylene (PP) Automatic Pressure Equalization Valve. Easy to open latches Description: Dimensions: 190*172*56mm Weight: 482g Brand Unbranded Type Hard Case Features Waterproof MPN Does Not Apply EAN Does not apply. Gopro Accessories. Ladies clothes. Clothes Accessories. Material: PVC. 3D Illusion Night Light. Color: Black. Cars, Motors, Cycles etc. Sports Accessories. Compatibility: for GOPRO 4 and all for GOPRO products. ●Simple but classical appearance ,practical with competitive price. Anyway we will try our best to avoid this kind of thing. Hunting Tools/Airsoft Gun Bag. Colour: Black. Phone/Pad Accessories. Pet Accessories. New Arrival. Userful links. 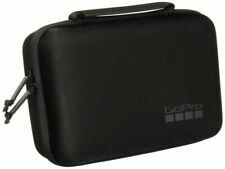 GoPro and accessories carrying case. Accessories and GoPro not included. The soft internal structure can serve as a kind of buffer to prevent the device from being grinded. 1 x Carrying Bag. Detail Image. Casey is the perfect GoPro travel and storage solution. The water-resistant, semi-rigid shell guards against rain and light snow. Conveniently keep your GoPro, mounts and accessories together all in one place. Weighs only 54g. Made from robust EVA. 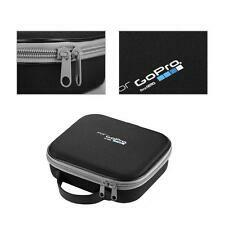 Suitable for 2 GoPro Hero 3 /4. Shock and water resistant.